Oceania ( UK: /ˌoʊsiˈɑːniə, ˌoʊʃi-, -ˈeɪn-/, US: /ˌoʊʃiˈæniə/ ( listen), /-ˈɑːn-/)  is a geographic region comprising Australasia, Melanesia, Micronesia and Polynesia. Spanning the eastern and western hemispheres, Oceania covers an area of 8,525,989 square kilometres (3,291,903 sq mi) and has a population of 40 million. 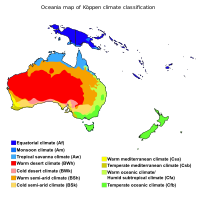 Situated in the southeast of the Asia-Pacific region, Oceania, when compared to continental regions, is the smallest in land area and the second smallest in population after Antarctica. 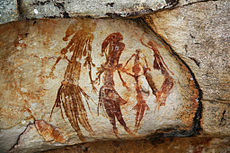 The first settlers of Australia, New Guinea, and the large islands just to the east arrived more than 60,000 years ago. [ citation needed] Oceania was first explored by Europeans from the 16th century onward. 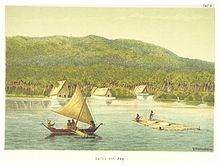 Portuguese navigators, between 1512 and 1526, reached the Tanimbar Islands, some of the Caroline Islands and west Papua New Guinea. 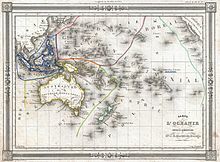 On his first voyage in the 18th century, James Cook, who later arrived at the highly developed Hawaiian Islands, went to Tahiti and followed the east coast of Australia for the first time. 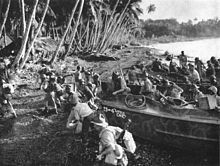 The Pacific front saw major action during the Second World War, mainly between Allied powers the United States and Australia, and Axis power Japan. 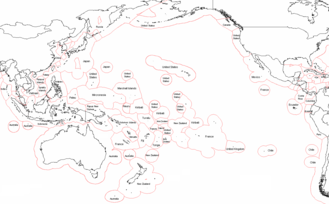 The Polynesian people are considered to be by linguistic, archaeological and human genetic ancestry a subset of the sea-migrating Austronesian people and tracing Polynesian languages places their prehistoric origins in the Malay Archipelago, and ultimately, in Taiwan. 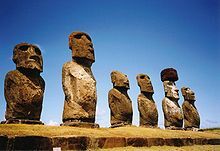 Between about 3000 and 1000 BC speakers of Austronesian languages began spreading from Taiwan into Island South-East Asia,    as tribes whose natives were thought to have arrived through South China about 8,000 years ago to the edges of western Micronesia and on into Melanesia. 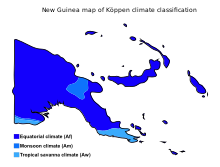 Oceania was originally conceived as the lands of the Pacific Ocean, stretching from the Strait of Malacca to the coast of the Americas. 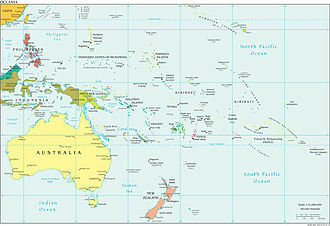 It comprised four regions: Polynesia, Micronesia, Malaysia (now called the Malay Archipelago), and Melanesia. 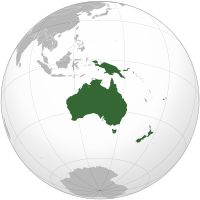 Today, parts of three geological continents are included in the term "Oceania": Eurasia, Australia, and Zealandia, as well the non-continental volcanic islands of the Philippines, Wallacea, and the open Pacific. 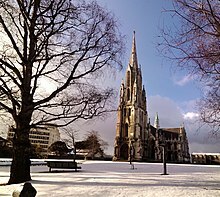 In recent Australian and New Zealand censuses, large proportions of the population say they belong to " no religion" (which includes atheism, agnosticism, deism, secular humanism, and rationalism). 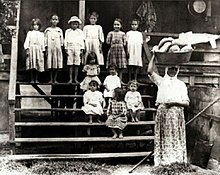 In Tonga, everyday life is heavily influenced by Polynesian traditions and especially by the Christian faith. 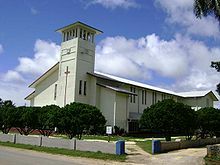 The Ahmadiyya mosque in Marshall Islands is the only mosque in Micronesia. Another one in Tuvalu belongs to the same sect. The Bahá'í House of Worship in Tiapapata, Samoa, is one of seven designations administered in the Bahá'í Faith. 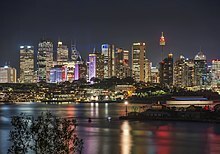 Other religions in the region include Islam, Buddhism and Hinduism, which are prominent minority religions in Australia and New Zealand. Judaism, Sikhism and Jainism are also present. Sir Isaac Isaacs was the first Australian born Governor General of Australia and was the first Jewish vice-regal representative in the British Empire. Prince Philip Movement is followed around Yaohnanen village on the southern island of Tanna in Vanuatu. 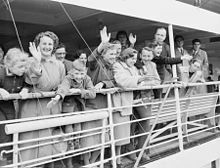 Immigrants brought their own languages to the region, such as Mandarin, Italian, Arabic, Polish, Hindi, German, Spanish, Korean, Cantonese and Greek, among others, namely in Australia and New Zealand,  or Fiji Hindi in Fiji. 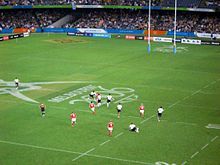 Endowed with forest, mineral, and fish resources, Fiji is one of the most developed of the Pacific island economies, though it remains a developing country with a large subsistence agriculture sector. Agriculture accounts for 18% of gross domestic product, although it employed some 70% of the workforce as of 2001. Sugar exports and the growing tourist industry are the major sources of foreign exchange. Sugar cane processing makes up one-third of industrial activity. 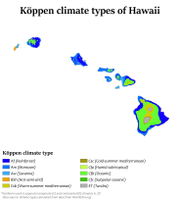 Coconuts, ginger, and copra are also significant. In Samoan politics, the Prime Minister of Samoa is the head of government. 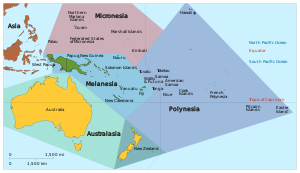 The 1960 constitution, which formally came into force with independence from New Zealand in 1962, builds on the British pattern of parliamentary democracy, modified to take account of Samoan customs. The national government (malo) generally controls the legislative assembly. 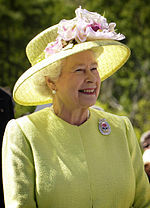 Politics of Tonga takes place in a framework of a constitutional monarchy, whereby the King is the Head of State. ^ Adler, Jacob (1986). The fantastic life of Walter Murray Gibson: Hawaii's minister of everything. p. 66. ^ Rasmussen, Morten; Guo, Xiaosen; Wang, Yong; Lohmueller, Kirk E.; Rasmussen, Simon; Albrechtsen, Anders; Skotte, Line; Lindgreen, Stinus; Metspalu, Mait; Jombart, Thibaut; Kivisild, Toomas; Zhai, Weiwei; Eriksson, Anders; Manica, Andrea; Orlando, Ludovic; Vega, Francisco M. De La; Tridico, Silvana; Metspalu, Ene; Nielsen, Kasper; Ávila-Arcos, María C.; Moreno-Mayar, J. Víctor; Muller, Craig; Dortch, Joe; Gilbert, M. Thomas P.; Lund, Ole; Wesolowska, Agata; Karmin, Monika; Weinert, Lucy A.; Wang, Bo; Li, Jun; Tai, Shuaishuai; Xiao, Fei; Hanihara, Tsunehiko; Driem, George van; Jha, Aashish R.; Ricaut, François-Xavier; Knijff, Peter de; Migliano, Andrea B.; Romero, Irene Gallego; Kristiansen, Karsten; Lambert, David M.; Brunak, Søren; Forster, Peter; Brinkmann, Bernd; Nehlich, Olaf; Bunce, Michael; Richards, Michael; Gupta, Ramneek; Bustamante, Carlos D.; Krogh, Anders; Foley, Robert A.; Lahr, Marta M.; Balloux, Francois; Sicheritz-Pontén, Thomas; Villems, Richard; Nielsen, Rasmus; Wang, Jun; Willerslev, Eske (7 October 2011). 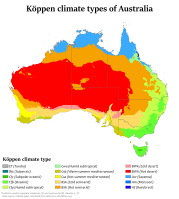 "An Aboriginal Australian Genome Reveals Separate Human Dispersals into Asia". Science. 334 (6052): 94–98. Bibcode: 2011Sci...334...94R. doi: 10.1126/science.1211177. PMC 3991479. PMID 21940856 – via www.sciencemag.org. ^ Barbetti M, Allen H (1972). "Prehistoric man at Lake Mungo, Australia, by 32,000 years BP". Nature. 240 (5375): 46–48. Bibcode: 1972Natur.240...46B. doi: 10.1038/240046a0. PMID 4570638. ^ Hage, P.; Marck, J. (2003). "Matrilineality and Melanesian Origin of Polynesian Y Chromosomes". Current Anthropology. 44 (S5): S121. doi: 10.1086/379272. ^ Kayser, M.; Brauer, S.; Cordaux, R.; Casto, A.; Lao, O.; Zhivotovsky, L.A.; Moyse-Faurie, C.; Rutledge, R.B. ; et al. (2006). "Melanesian and Asian origins of Polynesians: mtDNA and Y chromosome gradients across the Pacific". Molecular Biology and Evolution. 23 (11): 2234–2244. doi: 10.1093/molbev/msl093. PMID 16923821. ^ Su, B.; Underhill, P.; Martinson, J.; Saha, N.; McGarvey, S.T. ; Shriver, M.D. ; Chu, J.; Oefner, P.; Chakraborty, R.; Chakraborty, R.; Deka, R. (2000). "Polynesian origins: Insights from the Y chromosome". PNAS. 97 (15): 8225–8228. Bibcode: 2000PNAS...97.8225S. doi: 10.1073/pnas.97.15.8225. PMC 26928. PMID 10899994. 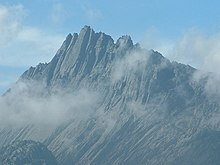 ^ Dumont D'Urville, Jules-Sébastien-César (2003). Translated by Ollivier, Isabel; Biran, Antoine de; Clark, Geoffrey. "On the Islands of the Great Ocean". Journal of Pacific History. 38 (2): 163–174. doi: 10.1080/0022334032000120512. JSTOR 25169637. ^ Seabrooka, Leonie; McAlpinea, Clive; Fenshamb, Rod (2006). "Cattle, crops and clearing: Regional drivers of landscape change in the Brigalow Belt, Queensland, Australia, 1840–2004". Landscape and Urban Planning. 78 (4): 375–376. doi: 10.1016/j.landurbplan.2005.11.007. ^ BirdLife International (2016). "Pycnonotus cafer". 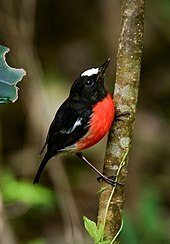 The IUCN Red List of Threatened Species. 2016: e.T22712695A94343459. doi: 10.2305/IUCN.UK.2016-3.RLTS.T22712695A94343459.en. Retrieved 15 January 2018. ^ Hoffman, Frederic L. (September 1899). "The Portuguese Population in the United States". Publications of the American Statistical Association. 6 (47): 327–336. Bibcode: 1905PAmSA...9..209L. doi: 10.2307/2276463. JSTOR 2276463. OCLC 11137237. (subscription required) See pp. 332–33. ^ a b Duggan, A.T.; Evans, B.; Friedlaender, F.O.R. ; Friedlaender, J.S. ; Koki, G.; Merriwether, D.A. ; Kayser, M.; Stoneking, M. (2014). 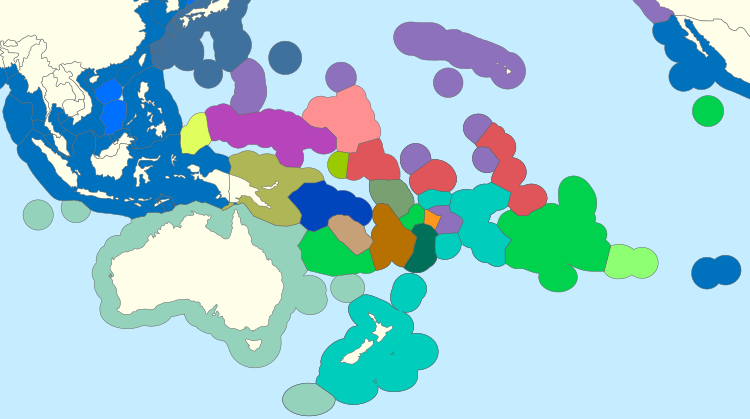 "Maternal History of Oceania from Complete mtDNA Genomes: Contrasting Ancient Diversity with Recent Homogenization Due to the Austronesian Expansion". The American Journal of Human Genetics. 94 (5): 721–33. doi: 10.1016/j.ajhg.2014.03.014. PMC 4067553. PMID 24726474.